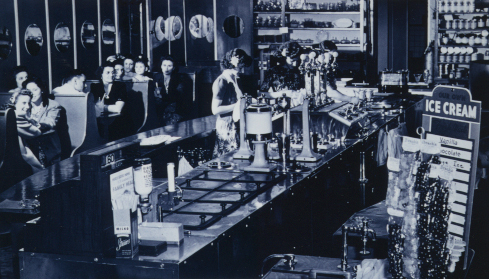 Built by the Coalfield Company, the store included general merchandise, a meat market, a foreign exchange and an ocean steamship ticket office. 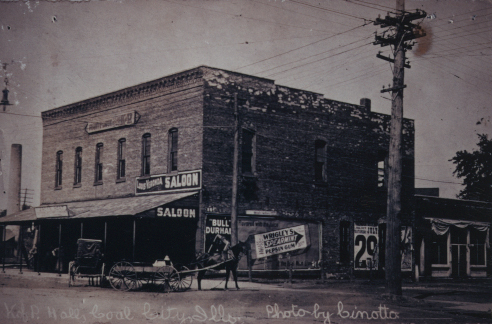 The Coalfield Hotel was one of the first buildings in Coal City. 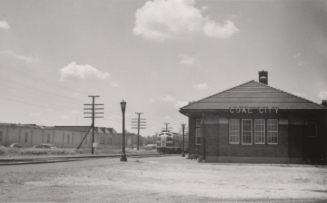 It was built and operated by the Coalfield Company. 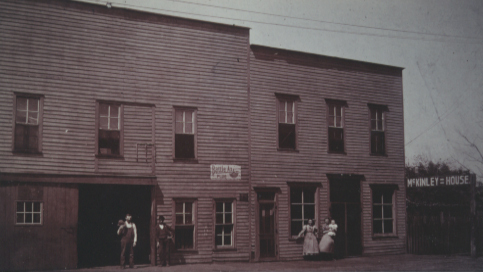 The hotel sat adjacent to the Coalfield Company Store. Coalfield Hotel & Store, west side of the 600 and 700 blocks of South Broadway. 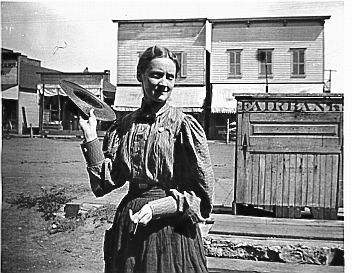 Daughter of William Campbell and bookkeeper at the Coalfield Hotel (in front of the Coalfield store). "Black Coal for White Bread"
The Santa Fe Depot, circa 1952, with the Atlas Wallpaper Mill in background. 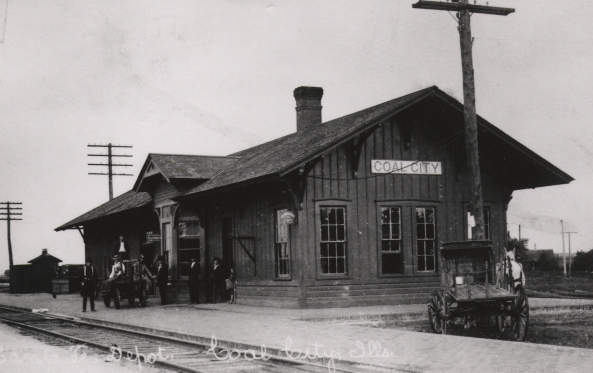 The original depot was built in 1888 by the Chicago, Santa Fe and California Railway; but it burned down in 1926. 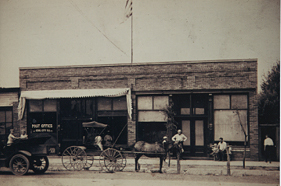 This replacement depot was built on Biama Street and the east end of Church Street. 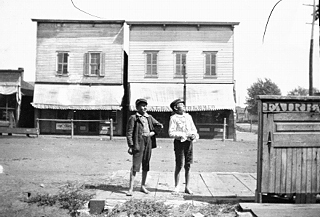 Mazon Street in Coal City. It burned down in the late 1920's. 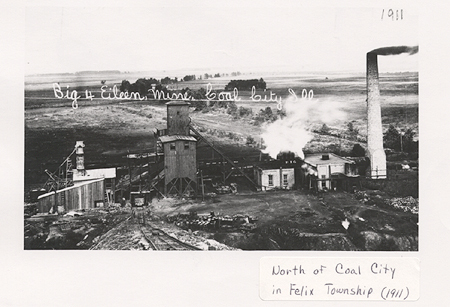 Big 4 Wilmington Coal Company Mine #6, north of Coal City, circa 1911. 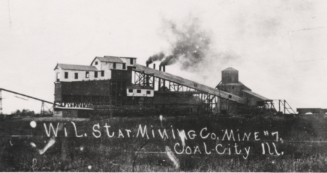 The Wilmington Star Mining Company Mine #3 operated from 1875 to 1897. 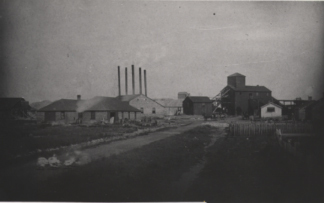 It was located south of Coal City on Broadway and Spring Road.